On March 15, a dead whale washed ashore on the beaches of Compostela Valley. An examination on the carcass revealed the cause of death were “starvation and dehydration” after it was found that it ingested 40 kilograms of plastic. It was tagged as one of the worst cases of poisoning ever seen. Earlier this month, Greenpeace Philippines released underwater photos taken from the Verde Island Passage in Batangas during an underwater exploration the organization conducted onboard the Rainbow Warrior on March 7 and 8. 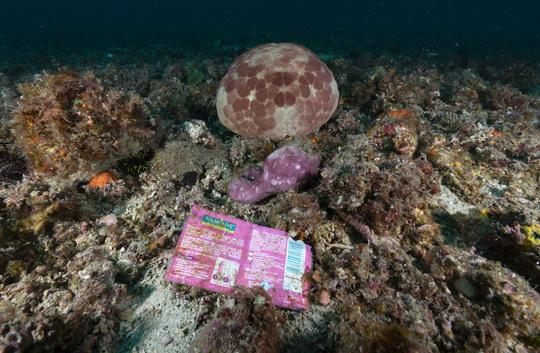 Numerous single-use plastic sachets have been found between, beneath, and on the corals and seabed of Verde Island Passage, the epicenter of marine biodiversity in the world. 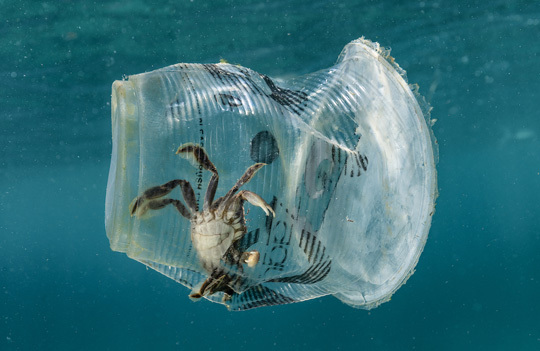 A crab was trapped inside a plastic cup. 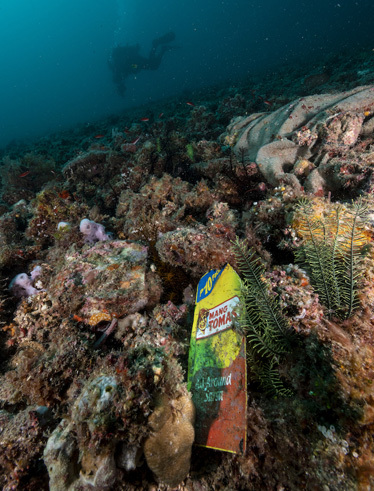 A discarded sauce packaging was found in between corals. An old sachet was found lying on the corals. 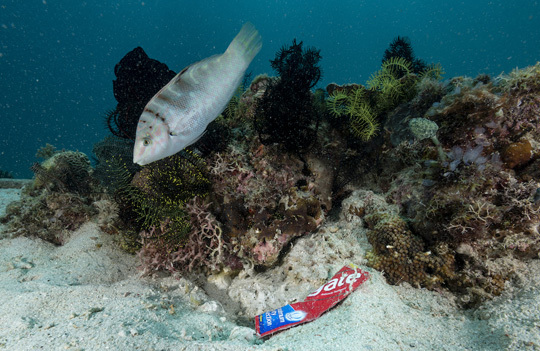 A small wrasse swims by a sachet of toothpaste. 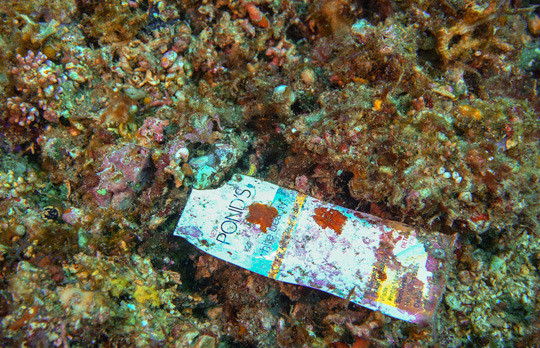 A discarded shampoo sachet was seen lying around the corals. 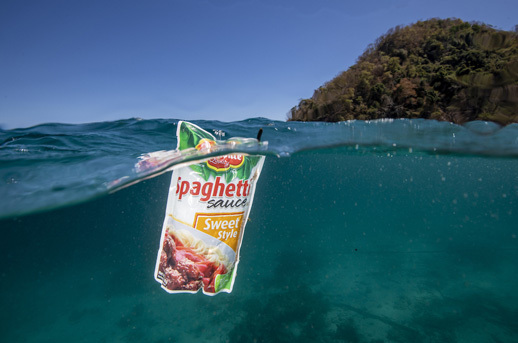 A spaghetti sauce packaging was floating in Verde Island Passage.